When developing and debugging applications, you can test SELECT statements from the Query Runner landing page. 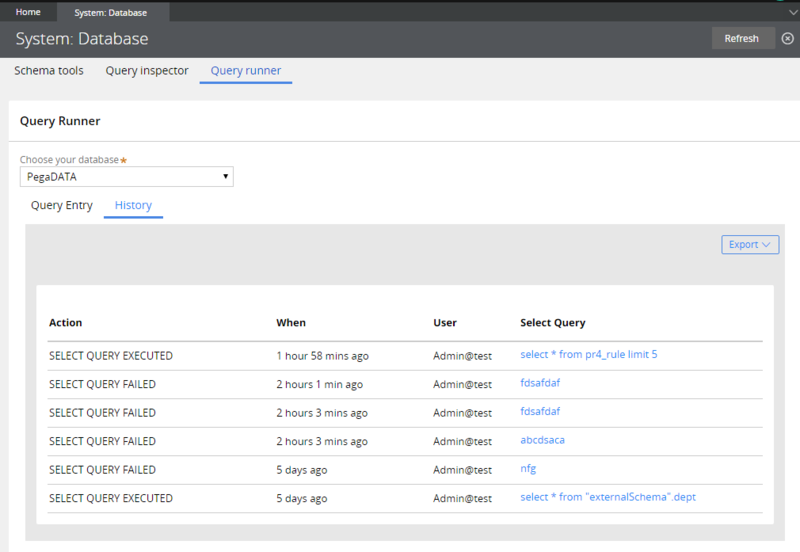 You can run queries against non-BLOB columns in your database and view the results on the landing page or export the results to an Excel spreadsheet or PDF file. 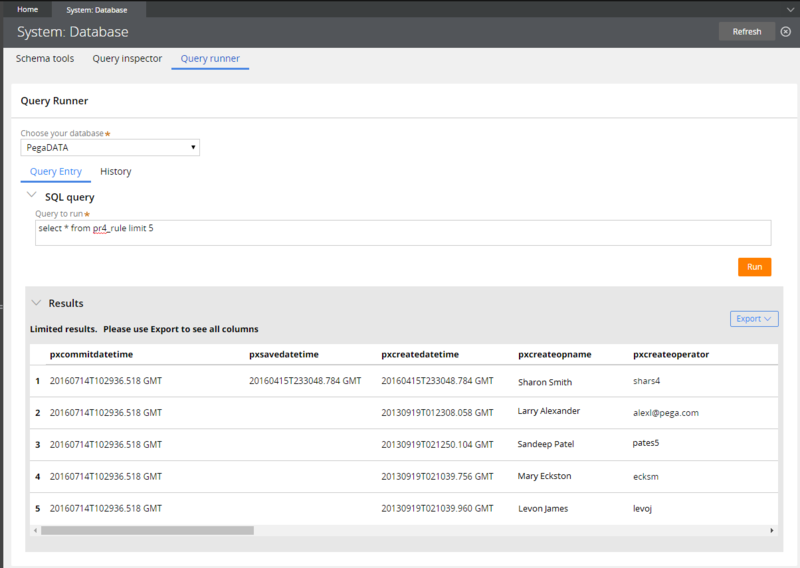 This functionality is available for Pega Cloud customers who use a Postgres database or for customers using an Oracle database on-premises or in the cloud. To access and use this landing page, you must have the PegaRULES:DatabaseAdministrator role or the pxDBSelectQuery privilege in Data- and Rule- in your access group. You access the landing page by clicking Designer Studio > System > Database > Query runner. You enter and run the SELECT statement on the Query Entry tab. The following example shows a query and its results. The History tab shows a list of queries that have previously been tested. You can click a query and export its results. Queries that are too long to display in the list are partially displayed followed by an ellipsis. You can view the entire query by clicking it in the Select Query column.